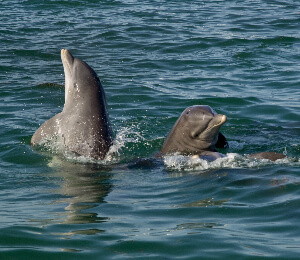 This is a unique opportunity to see dolphins in their natural habitat and doesn't come around often. You can see them play together and then snorkel over brilliantly colored reef gardens within the shallow waters of this gorgeous marine wildlife sanctuary. You won't want to miss this chance to have a personal, up close experience with dolphins in the turquoise wonderland of Key West! You'll be thrilled when these amazing, smiling creatures swim right up to the boat to look you right in the eye. This eco-tour includes the dolphin adventure, a tour of the local waters full of fascinating information about the wildlife you'll see, and a snorkel adventure over a colorful reef teeming with tropical fish. Maximum of 14 guests makes your trip feel like a private charter. Make your reservation today for the experience of your life! 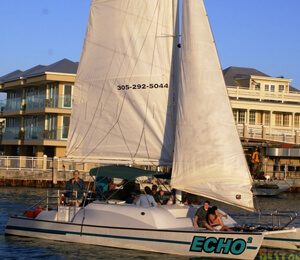 This tour goes out on a 42-foot catamaran vessel designed for comfort, luxury, and speed. 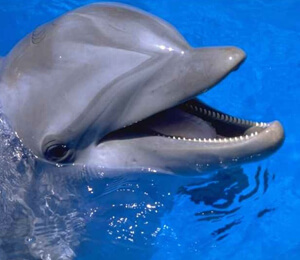 You will be greeted by a friendly crew and taken to the famous Dolphin Playground. Make sure you have your camera ready to get that perfect shot! After admiring the wild dolphins you will be able to experience a Key West classic: snorkeling at the coral reef. This is a tour you won't want to miss!